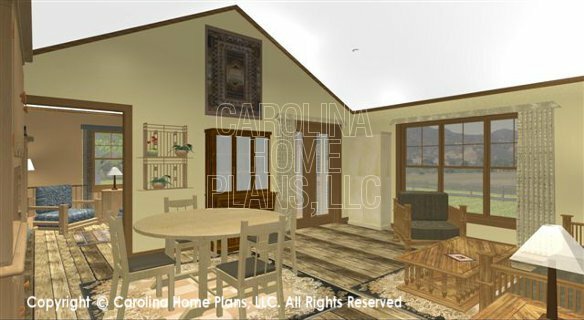 Casual living defines this charming one story split bedroom small house plan featuring a vaulted living room ceiling and a cozy den both with direct access to the ideally located screened porch. 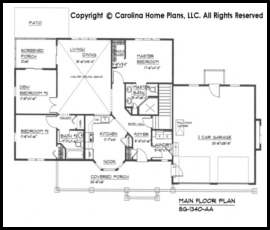 The functional small home floor layout ensures easy, convenient one-level living with both laundry and garage comfortably located near the kitchen. 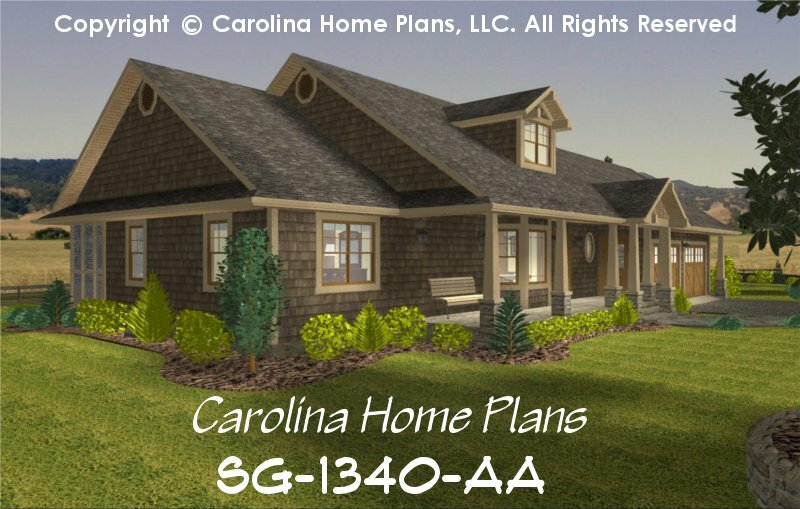 The delightful covered front porch and large windows allow full enjoyment of the surrounding outdoors while maximizing interior natural light. The efficient utilization of the grid system layout ensures the full cost-saving construction benefits. 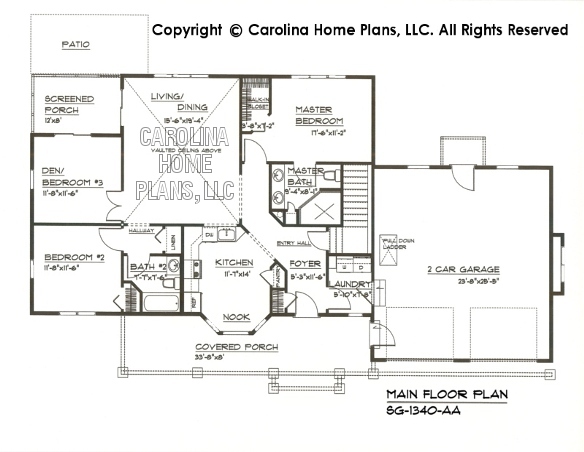 Ample attic storage, as well as a stairway access to a full basement for future expansion makes this plan ideal for a starter home. Available options and pricing: See below. Select the combination of options from the drop-down options menu above (Repro Set As Shown) and then click "Place Order" (follow instructions for discount on order page). 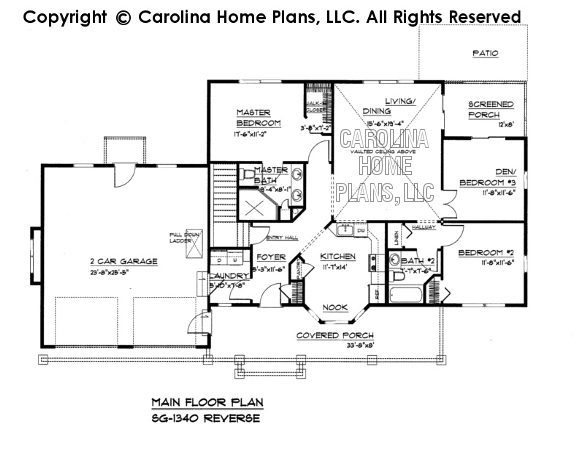 Want a quote for modifications on this plan? Email us with your "WISH LIST"